DE BEERS is reviewing its approach to the development of smaller mining projects as the diamond giant considers its future strategy in a situation where there have been no major diamond discoveries in the past 30 years. No ‘biggies’ are expected to be found over the next decade or so either despite the intensive exploration efforts by De Beers and other diamond companies – both major and junior. The most likely country where a major diamond strike could be made is Angola, which is both highly prospective and underexplored, but De Beers no longer operates there having pulled out because of concerns over its likely “security of tenure” to any finds it might make. A number of small diamond mines have been started up over the past 15 years of which one of the most successful has been the deposit formerly known as the AK6 kimberlite pipe in north-eastern Botswana. The profitable mine, today known as Karowe, has produced a string of large, high-value diamonds, but it is owned and operated by Lucara Diamond Corporation despite the fact that De Beers did much of the work to evaluate the project. 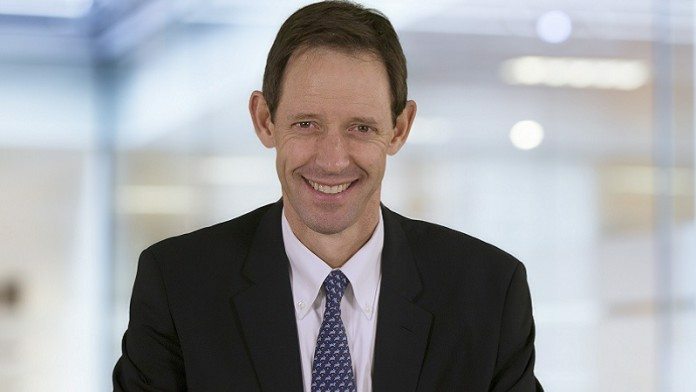 The change in strategy is being driven by De Beers CEO, Bruce Cleaver, who took over from Philippe Mellier in July last year. A lawyer by profession, Cleaver joined De Beers in in 2005 as general counsel and rose rapidly through the ranks, becoming executive head responsible for strategy, business development, corporate affairs and technologies in 2011. Interviewed by Miningmx, Cleaver commented: “I am big on technology; I am big on innovation and I am big on collaboration. I am about changing the mindset of the company. Philippe started a journey of change at De Beers aimed at making the organisation more flexible and fleet-of-foot. I intend continuing with that approach. We have been encouraging all our partners in the diamond business – such as the diamantaires and the retail jewellers – to adapt and be more flexible in their approach and that applies as much to us as anybody else. Whether De Beers will be able to adapt successfully to develop a profitable small mine remains to be seen. The group has sold off all its small and medium-sized operations over the past decade bar one – the Voerspoed mine in the northern Free State – and has concentrated its production from huge, world-class operations such as the Orapa and Jwaneng mines in Botswana and the Venetia mine in Limpopo. De Beers’ venture into Canada has so far had mixed results with production boosted this year from the newly-opened Gahcho Kué mine – which entered commercial operation in March – but that was after having to flood the workings at its Snap Lake mine and put it into “extended care and maintenance” in December last year. Thereby hangs a tale and one on which there is an authoritative outside view to provide some counterpoint to the official De Beers version. It comes from former De Beers CFO, Stuart Brown, who was appointed joint acting CEO before he resigned in 2010. Brown is now CEO of Firestone Diamonds, which has brought the Liqhobong mine in Lesotho into production. Brown last year spelt out the differences in the way De Beers does things and how a junior must operate, commenting: “It requires a totally different mindset and it helped me greatly that, in De Beers, I was never known as a big spender. There were other words used to describe me – none of them complimentary. “You have to drive the overhead out – in fact, not start with it. De Beers and Anglo are huge. It’s governance and it’s oversight and it’s reviews. That’s not to say the De Beers way is wrong but a junior cannot afford this. The junior has to do it right the first time. THE demand for polished diamonds from the retail jewellery trade – which feeds through into demand for rough diamonds by the cutting trade from the diamond producers – that makes or breaks the business. The good news is the recovery trend from the market setbacks during 2014/15 is continuing according to Cleaver. That’s despite rough diamond sales from De Beers’ first five sights held during 2017 being slightly down on sales for the comparable period of 2016. Cleaver said it was necessary to compare apples with apples in assessing the numbers. The US dominates jewellery demand and accounted for record sales of $41bn – just over half of total global sales – in 2016. Cleaver hopes that US sales will “meet or exceed” that level during 2017. Where it gets really interesting in future assessments of trends in demand for diamond jewellery is the focus that De Beers is putting on attitude of ‘millennials’ – the generation born between 1980 and 2000 – towards diamonds and how to make purchases of diamond jewellery more attractive and relevant to them. According to Cleaver, millennials will be the most important diamond-buying section of the population in some 10 to 15 years when they reach their most affluent life stage and De Beers has carried out extensive market research on them. More than 75,000 millennial women in the world’s top four diamond markets – the US, China, India and Japan – were interviewed over a three-year period to find out more about their diamond acquisition behaviour and the drivers behind it. According to De Beers statistics, those four markets account for 73% of global diamond jewellery demand and the millennials in them number close to 1bn people of whom more than 220m have the ‘level of affluence’ needed to actually be able to buy diamond jewellery. A concern in the market has been that millennials are less interested in buying diamonds than previous generations but, according to Cleaver, the research has shown that is not the case. What is apparent is that millennials have a very different attitude to life than previous generations, meaning the diamond trade has to approach them differently in its efforts to market diamond jewellery. It all boils down to what Cleaver termed “competition from other luxury goods for a share of the consumer wallet” to which the diamond producers and the diamond trade must respond by “upping our game”. He pointed out that high-end luxury travel is far more popular now than it was 20 years ago as is the purchase of items such as high-end electronic devices along with expensive luggage and high-end fashion. One feature of the millennials is that they appear less likely to get married than previous generations which, on the face of it, is negative for diamond consumption in traditional items such as engagement rings. But Cleaver said the millennials can still buy diamonds to mark meaningful stages in their relationships and that’s one of the ways in which retail jewellers should approach them. A key part of making diamonds appealing to millennials lies in the steps that De Beers and the diamond trade have already taken to highlight the integrity of the business and make it transparent so that consumers can be assured the diamonds they are buying are pure, he said. Amongst other measures those steps involve the Kimberley Process and De Beers’ on-going campaign to clearly differentiate natural diamonds from artificially produced synthetic diamonds. While De Beers runs its own advertising and marketing campaigns – such as the ForeverMark brand – Cleaver also highlighted the importance of industry-wide collaboration through organisations like the Diamond Producers Association (DPA) created in May 2015 by the world’s leading diamond companies to promote diamonds “generically”. Said Cleaver: “The DPA has boosted its spending for 2017 from $12m to $60m and I am happy to fund De Beers’ pro-rata share of that provided the other members kick in their shares,” he said. The story on AK6 / Karowe doesn’t wash. They could easily have lagged capex on Venetia underground and kept AK6. AK6 produces high quality stones that would have enhanced the mix of De Beers’ sights, whereas Venetia produces rubbish. Also, why eschew Angola due to concerns about tenure, but spend a fortune on Venetia Underground? There are only a small handful of profitable diamond projects in the world that are on the small scale. Better then 0 at the large end….but still sparse. The “security of tenure” issue was nothing they didn’t know when they spent USD100m there back in the day on absolute rubbish. The “overriding circumstances” referred to in the disposal of AK6 as best as most people can figure was corporate stupidity rather than an effort to rescue the balance sheet (what difference would USD50m make to a USD4b debt?). And pray tell, what smaller mining projects are they hoping to develop? I don’t think M1 in Tsabong on which they’re spending cretinous amounts of money would qualify as a small project, even if it has any chance of being economic, which everybody knows it doesn’t. Not sure of the smaller projects on the African continent…but the only project that I believe fits the article in the Western Hemsiphere is Chidliak up in Nunavut. Fits the small – Less than half billion to build it. Fits the economic – Generates half billion NPV with more drilling to up that number maybe 2 or 3 times. A lot of kimberlites on site have very little work done on them on top of that. More kimberlites to be found. Have you ever seen a woman unhappy to get a diamond? Only unhappy if it’s not big enough! Not sure if it’s a good thing but I guess for diamond miners it’s great! at the PGD office, otherwise forget it. foot the bill to make Chidliaq a reality.